Yesterday afternoon, LG sent out their official MWC event invites to the press (above), confirming again that they will reveal the LG G6 on February 26. 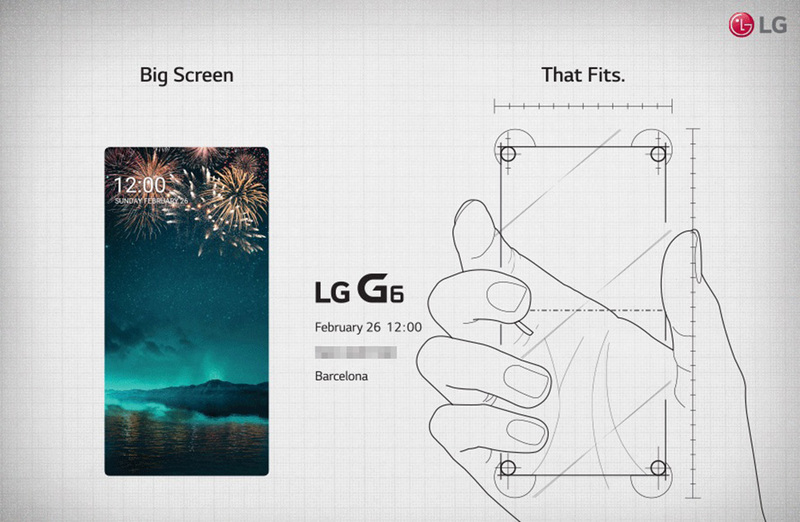 LG is so excited, they are calling the day, “LG G6 Day.” And look, the G6 will be the biggest unveiling of MWC, so they should go all out and seize the day, especially knowing that Samsung will only be around to show off a tablet and tease the Galaxy S8. The teaser image also reminds us once again that the G6 will have a big ol’ 5.7-inch QHD display and a body that won’t contain much bezel. Now, I know that select press are already running around spouting off that the phone won’t have any bezel or that it’ll be bezel-less. Hey, hype it, playa! But folks, come on, we know what this phone looks like. It has bezel. It looks like this. And this. And this. Outside of pictures, LG already told us about the display’s bezel (and its 18:9 ratio), noting that the QHD+ LCD panel used “has reduced bezel width by 0.2mm (20 percent) on top, and by 0.54mm (10 percent) on the left and right sides, compared to conventional QHD LCDs.” See, it has bezel! It has reduced bezel, but it has bezel. We are fully expecting shrunken chin and forehead bezel, along with razer-thin side bezel. It should look great. Mark your calendars – February 26 is LG G6 Day.